to choose School or Store. Welcome to The Northern Shaolin Academy! . . . Come and See our New Kung Fu Panda classes (Kids ages 3-5) On Tuesday & Thursday from 5:00 pm until 6:00 pm. These five phases describe both a creation (sheng) cycle and an destruction (ke) cycle of interactions between the phases. These cycles are sometimes called "mutual production" and "mutual conquest". 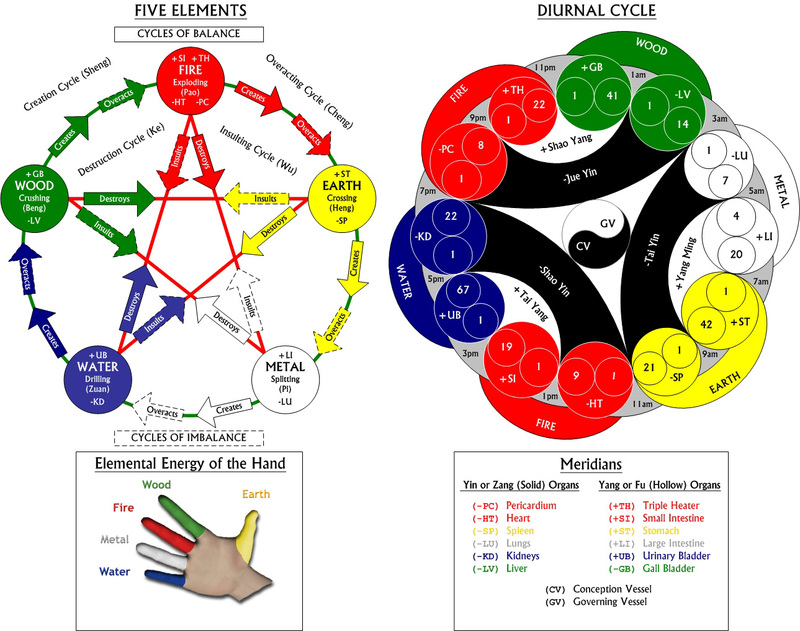 These are the cycles of balance. 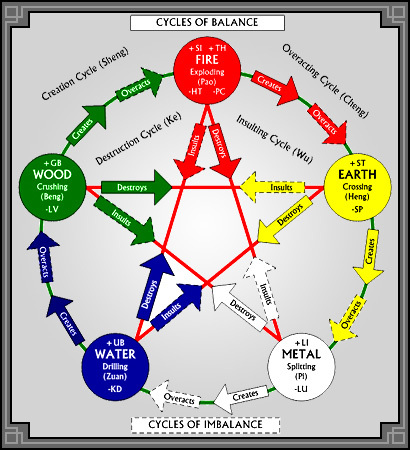 If any of the elements are over abundant they can disrupt the balance. Fire can create Earth, but too much Fire will melt the Earth. Water can control Fire, but too much Fire will evaporate Water. These are the cycles of imbalance, the overacting (cheng) cycle and the insulting (wu) cycle.